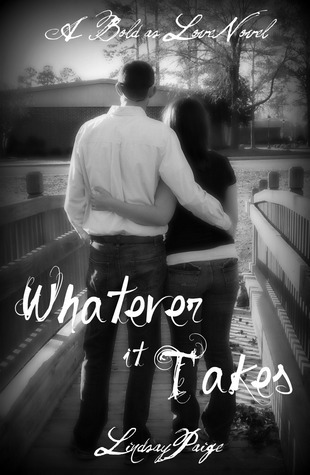 Welcome to my stop during the Whatever it Takes Pre-Release Party! What makes our favorite characters so real and relatable? Is it their actions and emotions? Lindsay Paige, author of the Bold as Love Series, has so kindly agreed to share her insight on how she gives her characters realistic personalities. Following the guest post is a giveaway for all 3 e-books in the series. For me, the inspiration for my characters' personalities derive mainly from two different sources. It arises from people I know and the way I want my character to behave. Candace said she has always wondered how writers make their characters have such realistic personalities. In my opinion, it has less to do with where we come up with how the characters will behave and more with how we convey it. In order for me to make my characters to have realistic personalities, I have to make sure they are consistent, that it makes sense for them to behave that way (or depending on the character, that it doesn't make sense), and that I choose my words wisely to accurately depict them. For example, Jake has a very sweet and mature personality. That has to do with a few things he has experienced and how natural being sweet comes to him. Tons of factors go into making their personalities fit their story. As I learned in science, every action has a reaction. I would think the same would be true for the personalities of characters. I know that is true for my personality. What character do you adore because of their personality? 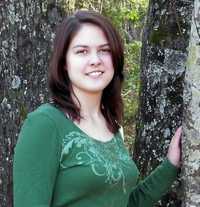 Lindsay Paige is a young adult romance author from North Carolina. Most of what Lindsay writes are her daydreams in lavish details. (Please excuse that fact when you read one of her future works about a girl who sleeps around.) When not writing, she is working to complete her final year of high school. Interested in your books!! I'll be following you on Facebook!